care. 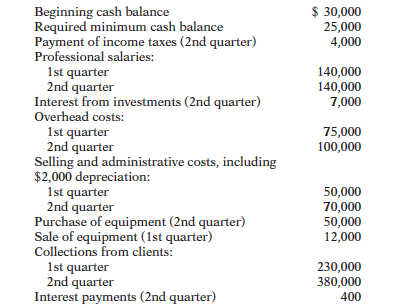 The clinic is currently preparing the master budget for the first 2 quarters of 2014.
collected from other portions of the master budget and elsewhere. 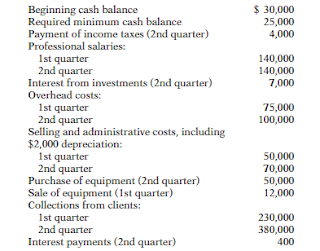 Prepare a cash budget for each of the first two quarters of 2014.